See Spinnakr in Action. Request a demo today! 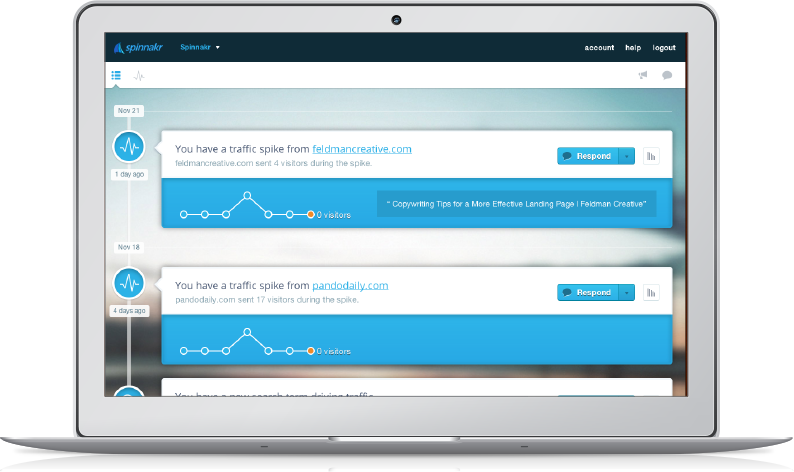 We discover real-time opportunities and trends in your web traffic and alert you when it's important. Analytics can be fun, simple and beautiful. We deliver you a clean list of insights about important news for your site. We let you instantly deploy messaging to your website targeted at any segment of visitors we identify. Mentioned in a top industry blog? Get those visitors to sign up with a discount offer. When a review on a Spanish site sends traffic your way, welcome them en español. Get notified when discussion boards send traffic so you can join the conversation. Share important insights with colleagues to keep you team data driven in real time. When a crisis hits, we alert you and enabled targeted follow up minimizing brand damage. We find the relevant context from events to get you to insights without the work. 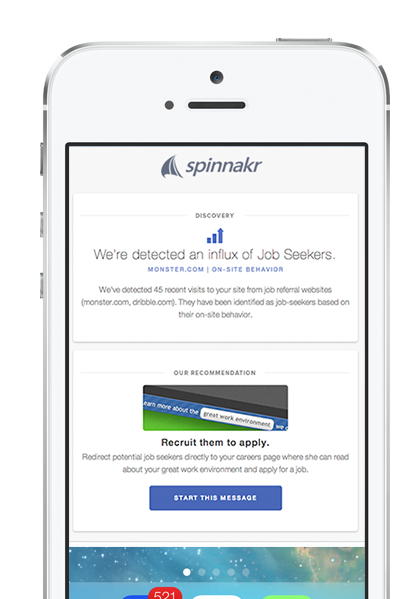 We spot job seekers, and make it easy to redirect them directly to your careers page. We keep tabs on all the important trends so you're never waiting on your data team. 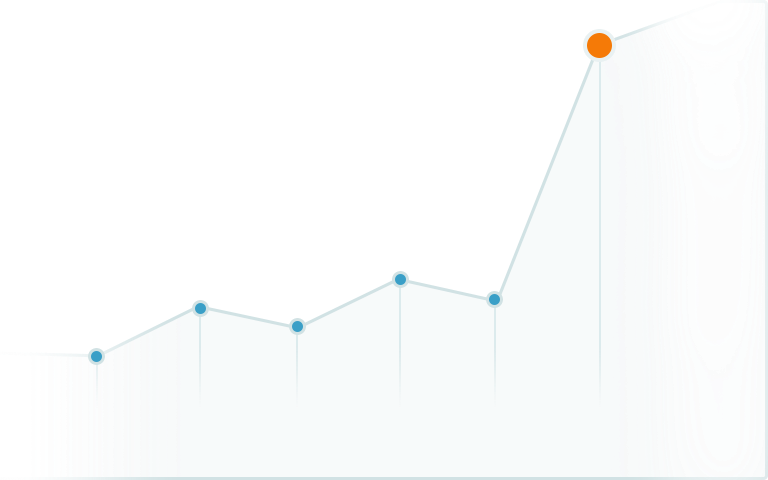 We detect where a visitor is more likely to share and offer a targeted call to action. Visitors from aggregators like Reddit, Quora, or Digg, we can make it easy to upvote. Spinnakr works with every kind of website. George: Parking at a garage is like going to a prostitute. Why pay for it if you can apply yourself and then maybe you can get it for free. Jerry: The New York Yankees? George: The New York Yankees! Jerry: Ruth, Gehrig, DiMaggio, Mantle... Costanza. George: Now how am I gonna relax? George: I love a good nap. Sometimes it's the only thing getting me out of bed in the morning. Lloyd Braun: Serenity now, insanity later. 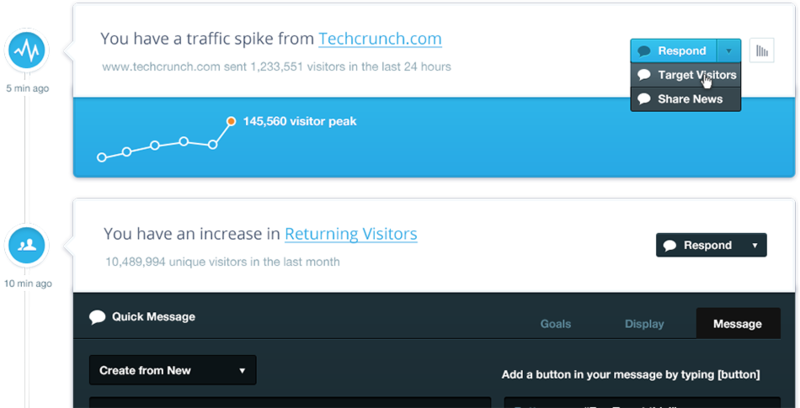 We've created a completely new way to engage your website's visitors. Enter your email and we’ll show you how!